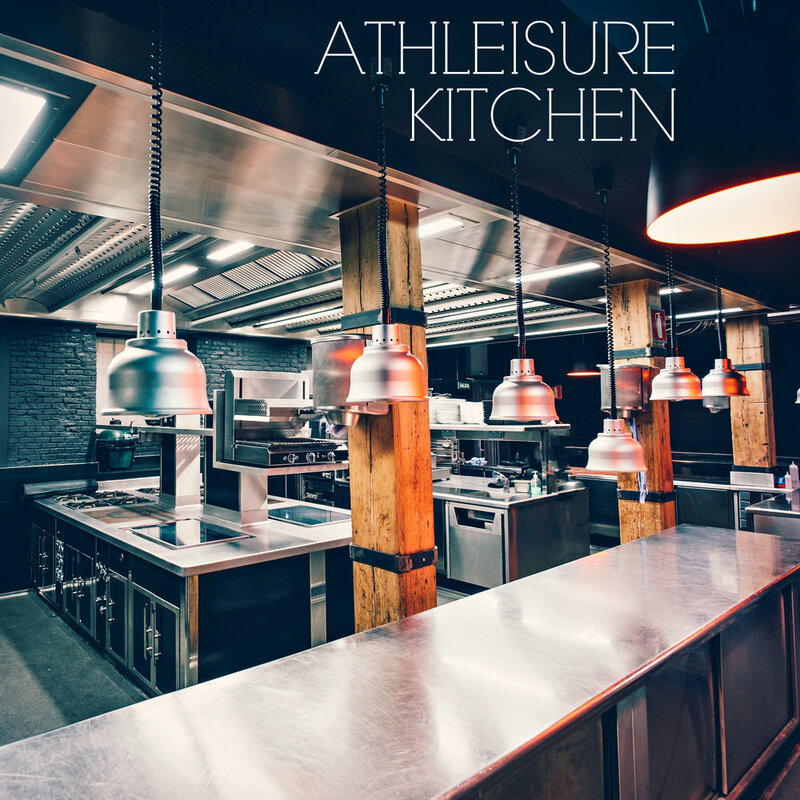 ATHLEISURE MAG: Chef Chris Szyjka realized his love for cooking at a young age, while preparing meals for his family with his grandmother on their farm in northern Illinois. His professional career started at the age of 18, working as an Extern at the famed Charlie Trotter’s in Chicago. Looking to expand his culinary knowledge, Chris moved to Miami to attend culinary school at Le Cordon Bleu. There, he worked at the Biltmore Hotel, as the Chef de Partie for 4 years. Chris later met chef Didier Elena, a right hand to Alain Ducasse for over 20 years, at Tosca Miami and was offered a position in Aspen to help run Chefs Club in the St. Regis Hotel, and later moved to New York to open the brand’s second location. As Executive Sous Chef at Chefs Club New York, Chris has the unique opportunity to work with some of the world’s best chefs through a rotating visiting chef program, and exposes diners to signature dishes from top chefs through the restaurant’s nightly menu. In his spare time, Chris enjoys touring local New York farms and hunting in Connecticut. What drew you to participate in COCHON555 TOUR? CHRIS SZYJKA: I worked with Brady Lowe before in Aspen for a pop up foie gras competition at our Chefs Club in the St. Regis there and the heritage fire in Snowmass. I’ve come to believe in him and what he is trying to achieve through the Cochon tour and jumped at the opportunity to help. AM: How important are competition events such as COCHON555 TOUR and Piggy Bank for the culinary community and education about heritage breed pigs? CS: It’s really spectacular when Chefs can help promote something as great as American family farming and whole animal utilization. These competition events are crucial in that mission and give the culinary world an amazing opportunity to work with a great product from great American farmers. AM: Do you have a personal message about sourcing food/products responsibly? CS: Know your source, know your product. The only way to really have 100% confidence in your cuisine. AM: How is it to team up with Old Spot, Heritage Farms USA? CS: This heritage breed is a perfect example of why we as culinary professionals need to get back to the roots of sourcing quality product from quality companies. AM: What is your routine in selecting the whole hog dishes you will be preparing for the New Porc City event? CS: First, utilization. I wanted to be sure that nothing goes to waste. Second, visibility. It is important to me that people can see what was used and where. Third, flavor. Thanks to the Old Spot I was given, this was easy. Every ounce of this pig was more flavorful then the last and I need to convey that through what I present. AM: What inspired you to become a chef? Who are some of the chefs and restaurants that have inspired you? CS: I grew up in the Farmlands of northern Illinois on my family horse farm baking with my grandmother and cooking with my grandfather after school. As part of 4H, I raised and sold pigs for 4 yrs. and helped out at neighboring dairy farmers as much as I could. I’ve always had a close connection with cooking and the people who make it possible. My whole life I’ve been surrounded by things culinary and it just seemed like the right path. Didier Elena, Alain Ducasse, Charlie Trotter, Philippe Ruiz. AM: Chefs Club Aspen is truly iconic, what is it like to be Executive Sous Chef? CS: It’s a learning experience like no other. Every corner I turn there’s something new. We are building something really great, not just for the day-to-day customer, but for our employees as well. The chefs whom we collaborate with teach us all something different. A new technique, ingredient, philosophy, and that’s what it is all about. Bettering ourselves to better the experience. AM: We were excited to learn Chefs Club Aspen was coming to New York City. What is it about the Chefs Club NYC that is distinctly New York? CS: Just like NYC, Chefs Club NYC is a mix of all types of backgrounds. From French to Asian to American to Italian and so on. We embrace all styles of cooking, modern and classic. Someone can go from little Italy to Korea town just as easy as ordering app and entrée. AM: What are some special things you have lined up for NYC Restaurant Week? CS: We’ve brought back our ever so popular Thai glazed short rib by Eric Anderson from Minneapolis and white Bolognese by Lachlan Patterson of Fresca Food and Wine in Boulder. AM: Who are some of the upcoming acclaimed chefs coming to Chefs Club NYC and Inside Chefs Club that we have to look forward to for 2017? CS: Mid Feb. we have Chefs Andrew Taylor and Mike Wiley of Eventide Oyster Co. in Portland Maine coming in to give us a New England extravaganza. First night in our PDR, then the second night a main dinning room takeover. A few days later, Chef Mehmet Gurs of acclaimed Mikla in Istanbul Turkey will be gracing us with his take on Anatolian cuisine. And in March, Chef Matt Abergel of Yardbird in Hong Kong to just name a few. Read more from the Feb issue and Popping in with Chefs Club Chef Chris Szyjka in mag.